Broodless period 30 days treatment, repeat as necessary. We all know that we operate much more efficiently in our daily lives if we are feeling well. Even a slight cold can drag us down and sap our energy and enthusiasm. It is the same for our bees; if they are sick, they do not perform to their optimum potential. Sometimes it is difficult to believe that there may be something wrong with our bees. We see them flying in and out of the entrance, and when we look inside the hive, life seems to be going on as normal. However, it may be that you are witnessing a colony working at a lower level than it could. There are several diseases which afflict our bees. Some are major and cause real problems and even death. and in this article, I’ll tell you about them. 1 WHERE DO VARROA MITES COME FROM? WHAT DO VARROA MITES DO TO BEES? 5 WHEN SHOULD I TREAT MY BEES FOR MITES? WHEN TO TREAT FOR VARROA MITES? Two of these, American Foul Brood and European Foul Brood, are notifiable. This means that, by law, if you even suspect their presence, you must report this to the authorities. Other diseases are deemed to be minor. These include brood diseases like chalkbrood, and adult bee diseases such as acarine and nosema. The most recent ‘disease’ to afflict our bees is the varroa mite, Varroa destructor, which arrived in 1992. The mite lives in relative harmony with its original host, the Asian honeybee, Apis cerana. Over time, this bee has evolved ways of reducing the mite’s impact on its colonies. However, our bees, the Western honeybee, Apis mellifera, have no such defenses and, in general, without treatment a colony will ultimately die. 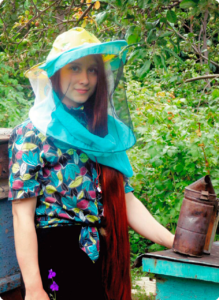 There are some reports of Apis mellifera becoming resistant to varroa, but this is not yet widespread, so bee-keepers are still advised to treat their colonies to keep mite numbers low. WHERE DO VARROA MITES COME FROM? WHAT DO VARROA MITES DO TO BEES? The female varroa mite has a flat, reddish-brown body, measuring 1.6mm ∫ 1.1mm. Males only exist inside bee brood cells and are paler and smaller than females. A pregnant female enters a brood cell just before it is capped. She then feeds on the pupal hemolymph (blood). The first egg she lays is a male, and subsequent ones are female. These offspring mates within the cell. When the adult bee emerges, it takes the mature (pregnant) females with it. The mites ride on the bee’s abdomen, sliding in between the sclerite plates. This makes the mites hard to see. While feeding on the bee’s hemolymph weakens it, the major impact of the mites is the spread of viruses as varroa move from one cell to another, taking virus particles with them. Most notable of these viruses is deformed wing virus (DWV), which does exactly what it says on the tin. The emerging adult has shriveled wings and therefore cannot fly and forage. As the virus affects more and more developing pupae the colony dwindles and dies. The bad news is that varroa is here to stay. The good (or better) news is that mite numbers can be controlled, and keeping them low significantly reduces the impact on the colony. Shortly after the mite’s arrival, two chemical treatments, Bayvarol® and Apistan®, became available. Plastic strips impregnated with pyrethroids were placed in the brood box. The chemical was distributed around the colony and the majority of the mites were killed. Simple! However, a problem soon emerged. The mites became resistant and increasing numbers of them survived, rendering the treatments much less effective. The major contribution to the onset of resistance was undoubtedly bee-keepers who misused the strips. Some thought that inserting twice the recommended number gave double the treatment effect. Wrong. Others thought that leaving strips in the hive for twice the manufacturer’s specified treatment time would have the same effect. Wrong again! After usual homemade varroa mite treatment (powdered sugar dusting to control varroa mites, treating varroa mites with essential oils), the onset of resistance meant that alternative treatment methods had to be developed. One method of attack is to use management techniques. Mites prefer to breed in drone brood because they can raise more viable offspring, as the cell is capped for longer than that of a worker. 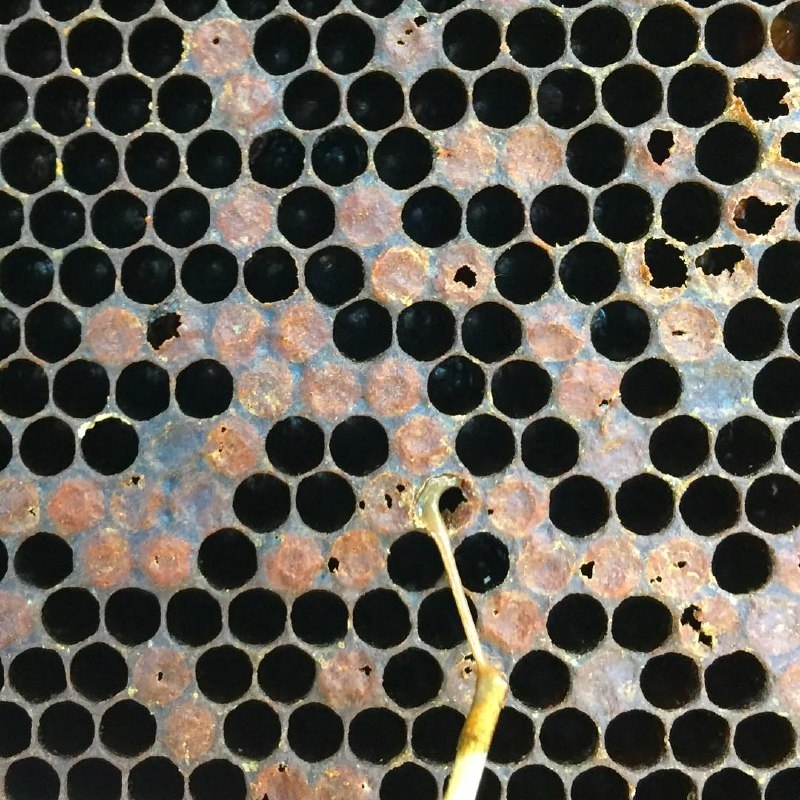 By encouraging the production of accessible drone brood in the colony, say by putting a superframe in the brood chamber at the appropriate time of year, drone comb is built below the bottom bars. When the cells are sealed, the comb is cut off and burnt – including the resident mites. With a similar goal, the queen can be restricted to lay on a single comb, and when the cells are sealed that comb is destroyed. 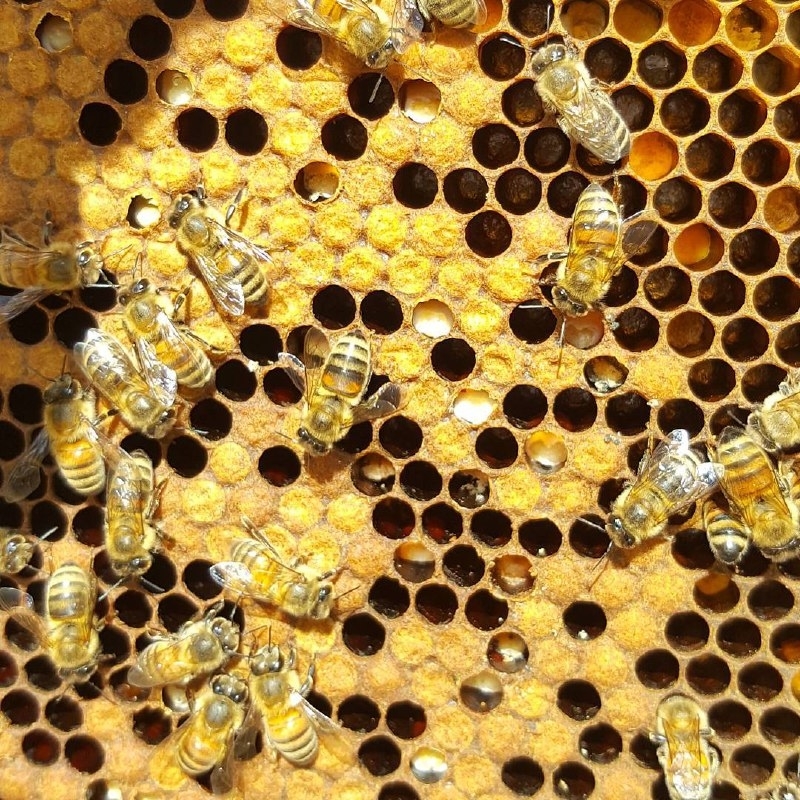 The ‘shook swarm’ technique for transferring a colony onto clean comb or foundation can also help to reduce mite numbers, as there is a break in brood rearing and hence places where the mites can breed. A range of ‘soft’ chemical treatments has also been developed, based on ‘natural’ substances such as thymol and oxalic acid. The majority of bee-keepers now use open-mesh floors. When a mite falls off a bee, it passes through the mesh, and the gap below this is too deep for it to climb back into the hive. Open-mesh floors are also useful for monitoring. First, the tray is cleaned. 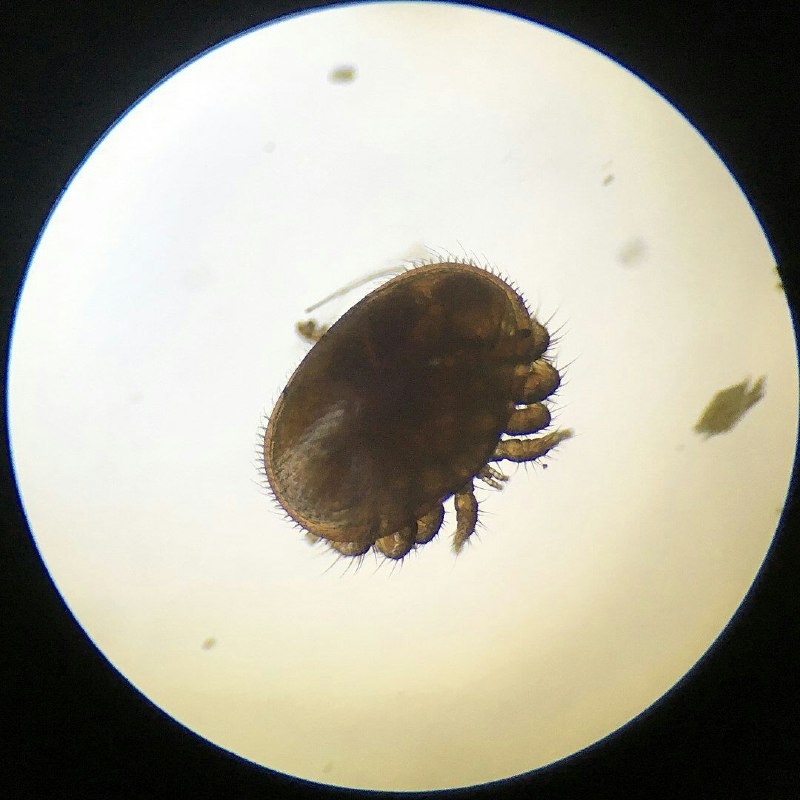 The number of mites is counted a few days later and divided by the number of days to obtain a ‘daily mite drop’ figure. Natural mite drop is related to the size of the varroa population. How many varroa mites is too many? Use the calculator on the National Bee Unit (NBU) website to determine the mite population. Plug in the numbers and you will get information about when you need to treat. The calculator also covers mite number counts obtained by uncapping drone brood. The brood needs to be at an advanced, pink-eyed stage. Slide an uncapping fork under the cappings and lift out the pupae. Count the number of mites and the number of drones. Repeat this until you have uncapped at least 100 cells, and then estimate the percentage infestation. If this is above 5–10%, the situation is serious and you need to take action to save your colony. A great tool for understanding varroa growth is very detailed graph created by Randy Oliver. It is worth learning to understand how quickly varroa population multiplies. Here you can check it and download as a spreadsheet – https://docs.google.com/spreadsheets/d/1-Ryc13p-duIw_wfA0yrRzhcvi2W3F798vtW8FpO7J00/. WHEN SHOULD I TREAT MY BEES FOR MITES? WHEN TO TREAT FOR VARROA MITES? 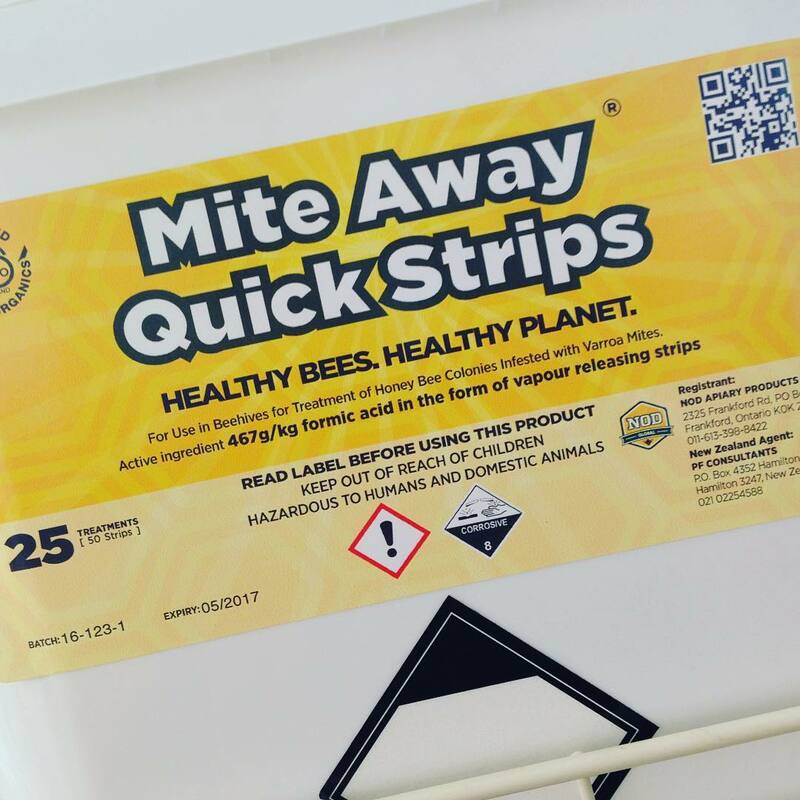 Until MAQS® – Mite Away Quick Strips (formic acid) – became commercially available, any form of chemical treatment was restricted to periods when there was no honey on the hive because of possible contamination. MAQS® can be used at any time and are therefore a very useful emergency treatment. Most beekeepers now treat in the autumn, if required. With little or no brood in the hive, the majority of mites are on the bees and are therefore vulnerable to the treatment. Pyrethroid-based: APISTAN®, BAYVAROL® (for Europe). Thymol-based: APIGUARD®, THYMOVAR® (for Europe), APILIFE VAR®. Formic acid: MITE AWAY QUICK STRIPS MAQS ®. Oxalic acid: API-BIOXAL® (for Europe). Api-Bioxal® is the only authorized treatment using oxalic acid: all other sources of this chemical are now illegal. Various hive cleansers are also available. These are not varroa treatments but are designed to help your colony remain strong and healthy, giving your bees a better chance of withstanding varroa’s effects. It is important that you only use authorized treatments. Before gaining approval from the Veterinary Medicines Directorate (VMD), products have to undergo rigorous safety and efficacy testing. In other words, the VMD makes sure they work and won’t harm you or your bees. You must always follow the manufacturer’s instructions. These are not designed to make you buy more of the product than you need so that they can boost their profits! They have been worked out scientifically so that you get the maximum benefit with the minimum risk of introducing resistance. By law, you must keep records of any chemical used to treat your bees. This includes information such as manufacturer and product, when you bought it, dates of administration and withdrawal, and means of disposal. A suitable record card is available on BeeBase at www.nationalbeeunit.com/index.cfm/pageid=167. You can also download the NBU booklet Managing Varroa from BeeBase. Click on ‘Varroa’ and then ‘Managing Varroa’ under ‘Further Reading’.